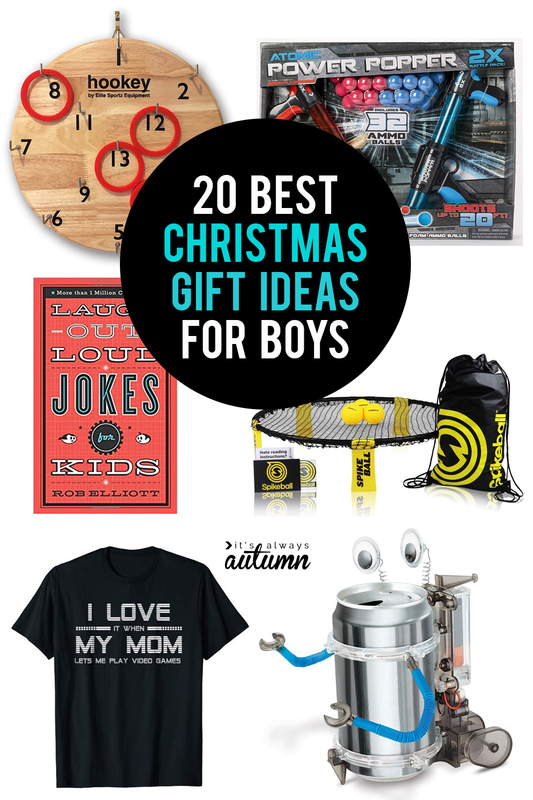 In today’s post: Find 20 fantastic Christmas gifts for boys! Have you started Christmas shopping yet? I always ask my kids for lists super early, thinking I’ll get all my shopping done by Thanksgiving, but sometimes their lists are full of things I don’t want to get them. Let me explain: I’m tired of stuffed animals or action figures that don’t get played with, junky toys that get broken two hours out of the package and end up as the clutter that never goes away, and video games that encourage them to spend more time plugged in and less time using their imaginations. Only a small percentage of the gifts they have received over the years have been real keepers – things that really provide hours of fun, don’t make unbelievable messes, and encourage them to use their imaginations… So I’ve decided to share 20 of the best Christmas gifts for boys today. These are tried and true gifts your kids are going to love! A note before we start: I know this post is called “Christmas gifts for boys”, but that doesn’t mean these gifts ONLY work for boys – these gifts would be great for girls too! I also have a post called “Christmas gifts for girls” that happens to be full of gift ideas boys would also enjoy. 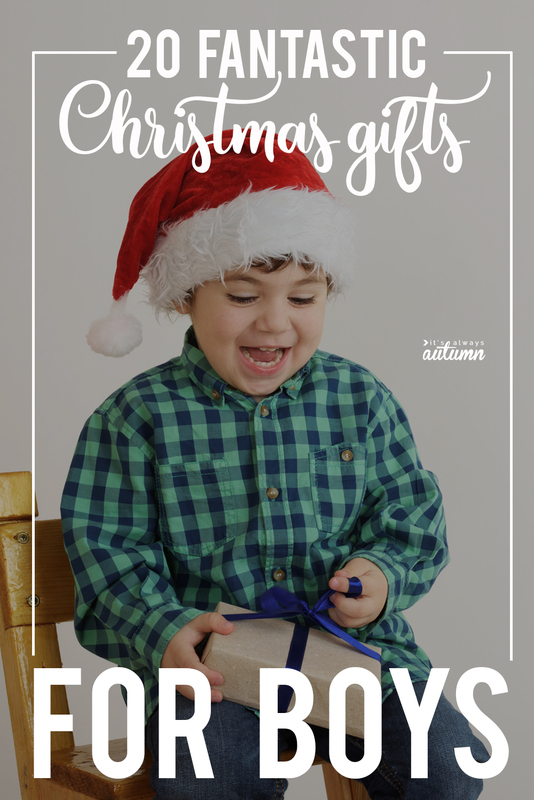 The only reason I’ve split them up into two different posts is that people tend to search “gifts for girls” or “gifts for boys”, but it’s worth checking out both posts for ideas for your kids. A few years ago my youngest spent a week in the hospital with RSV and came home on oxygen. I knew we wouldn’t be going much of anywhere for a few weeks and I needed something that would keep my 2.5 year old boy busy – and this activity board was perfect! It comes with a power drill, tons of screws, and a board you can drill the screws into. Just reverse the drill to pull them back out. There’s also a screwdriver, so two can play at once. My son spent hours screwing in all the red screws, then all the green, then making patterns with the different colors. His friends still beg to play with it when they come over almost three years later. Ok, this might be the best Christmas gift for boys (or girls) that I’ve found in all my years as a mom. 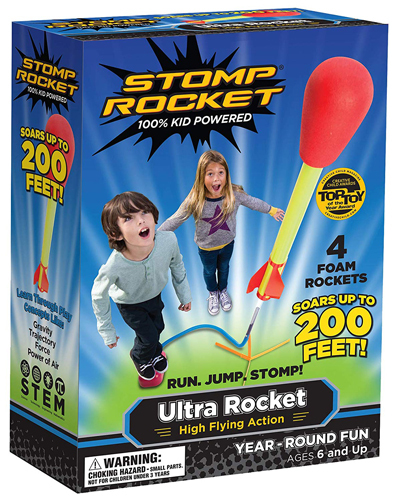 Stomp rockets are SO MUCH FUN. Just slide a rocket onto the launcher and jump – and your rocket will go flying into the air. These puppies go really high! We bought a set years ago and used it over and over and over…and recently finally replaced it. We took them with us to the park once and every single child at the park ended up in line to take a turn. 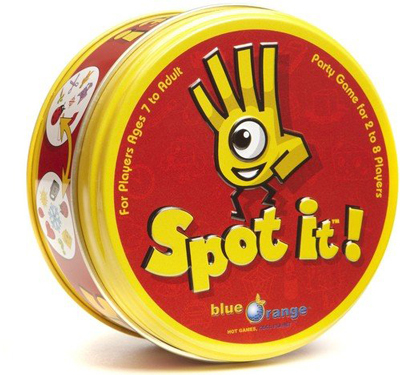 These are great for all ages – even small children can figure it out and big kids love competing to see who can send the rockets the furthest. Note: it’s worth investing in replacement rockets from the get go so you always have plenty. 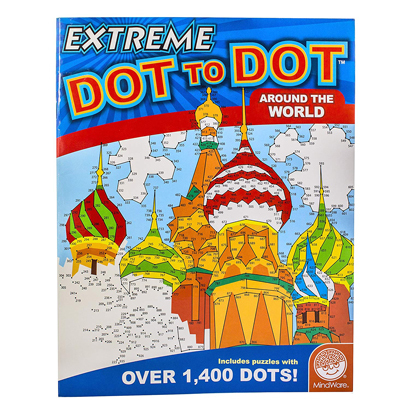 These extreme dot-to-dot books are completely awesome! Each page has 500-1000 dots, resulting in an intricate, super cool design once completed. Needless to say, they require an attention span, but the finished drawing is well worth the time spent. The books come in a variety of fun themes. Our kids bring them to church and work quietly during the talks/sermon. Want to breathe new life into the collection of legos your kids already have? 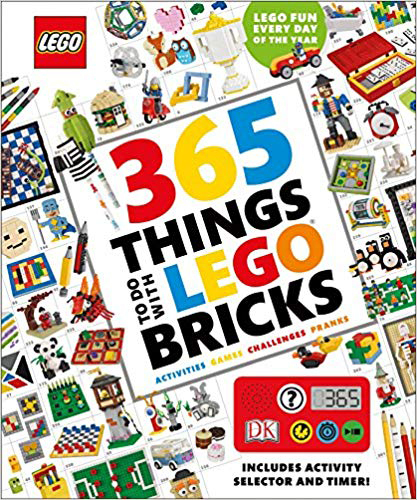 This book has a huge range of fun things kids can build with legos, and each building idea comes with a “play” idea as well. For example, one idea shows you how to put on a lego magic show, complete with a disappearing minifig trick. This would be a really fun Christmas gift for boys or girls. 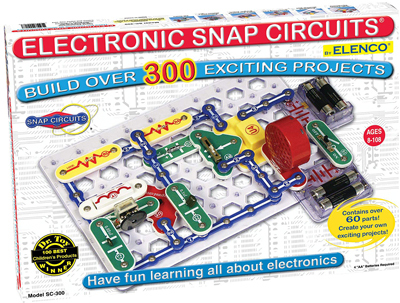 Snap circuits are pretty darn cool – each set comes with a variety of components that can be snapped together in different combinations to build electronic projects. A guide book shows kids how to create a dual speed fan, flashing laser light, photo sensor police siren, electronic games, and more. I can’t tell you how excited my kids were when they put together a working FM radio. 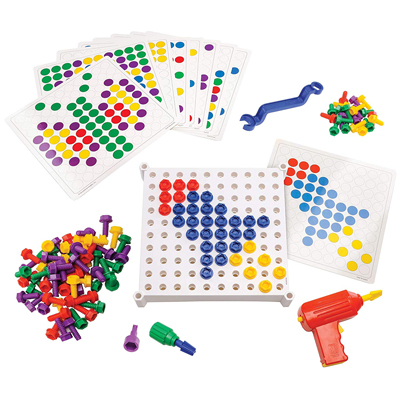 The set I’ve linked shows kids how to build 300 different projects by using different combinations of pieces, and if they love it (mine did) you can purchase larger sets or add-on sets. 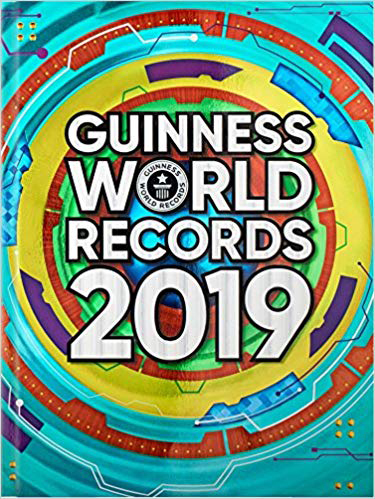 Any school librarian will tell you the Guinness World Records books are always the most popular book in the library! There’s often a waiting list for kids to get their turn, so giving your child his very own copy is a great Christmas gift idea. This game is so much fun! It’s a twist on volleyball that involves bouncing the ball back and forth on a circular net. It’s fun to play and fun to watch and a great way to get kids off electronics and doing something active. 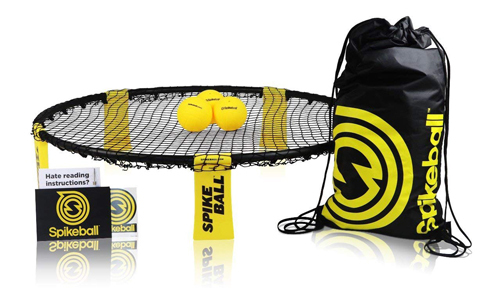 Spikeball is the original brand; you can also find cheaper versions under alternate brand names. This fun game from Australia is a safe alternative to darts. 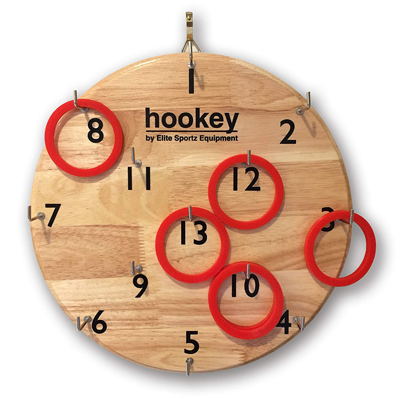 Throw the rubber rings at the board, trying to hang them on the hooks. Add in some math skills practice by trying to score exactly 21 points. Easy enough for kids 5+ and fun enough that the teenagers and adults will want to join in. Plus it’s so nice looking you won’t need to hide it in the basement. 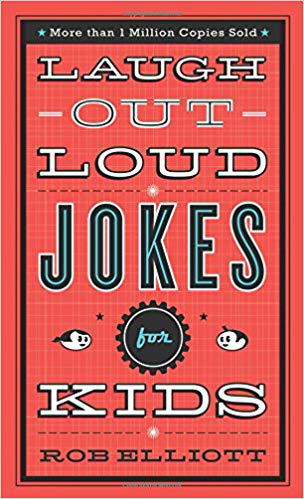 126 pages of cute jokes appropriate for kids. What’s not to love? 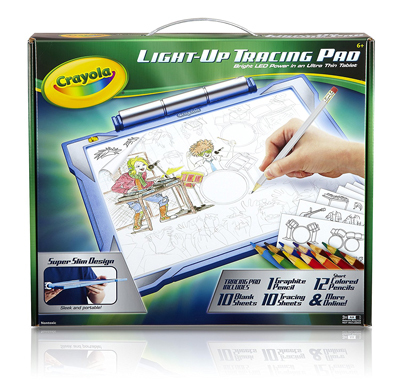 This pad lights up so kid can easily trace and embellish images to create beautiful drawings. 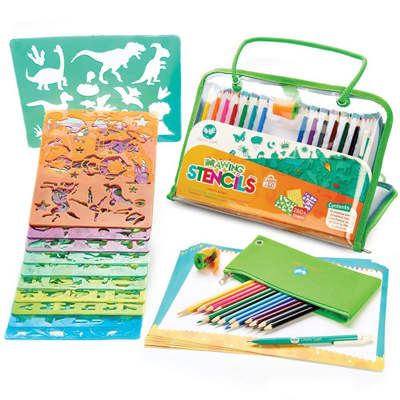 It comes with over 100 traceable designs, 12 colored pencils, and 10 tracing sheets. Reviewers say that once the tracing sheets run out the light is bright enough to trace using just normal copy paper. My kids love these stencils! These are wonderful for kids who aren’t very confident in their ability to draw – they can use the stencils to get the basic shapes “right” and then embellish from there. Perfect for times when you want kids occupied quietly for a while – we take ours to church regularly. This is another of the best Christmas gifts we’ve ever given our boys. The durable hoop fits over any standard door with no need for screws or hardware, and is padded to ensure it won’t scratch the door. 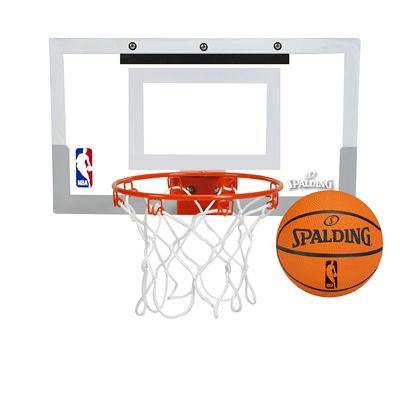 Unlike other cheaper over the door hoops, this version is built sturdy enough to stand up to lots of indoor play, and is very realistic looking. Great way to keep kids active when it’s too cold or wet to play outside. If there was ever a gift that appealed to all ages, this is it! 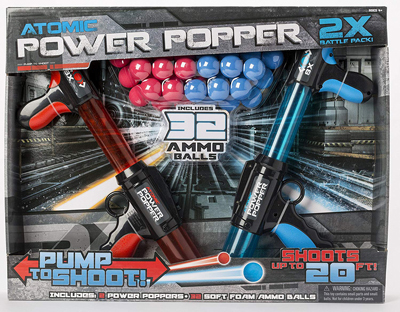 You pump the guns to shoot soft foam balls and they make a super satisfying “pop” as you do so. Little kids love these and the balls are soft enough that they don’t hurt, and I’ve even had teenagers running through my basement laughing their heads off playing with these. I’m pretty sure I know a few adults who would love them as well. So. Much. Fun. Note: I’ve linked to them on Amazon but I’ve seen them cheaper at Costco! The Me Reader is a genius product! 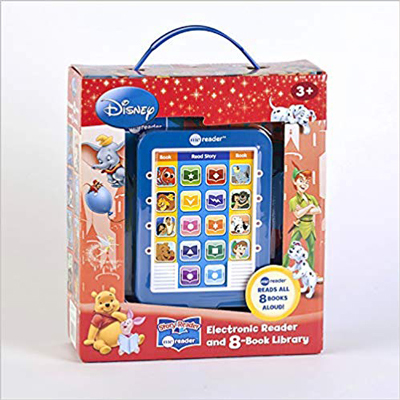 It comes with 8 books, each based on a classic Disney film, and an electronic “reader.” Every page in each book has a symbol corresponding to the buttons on the reader, so all kids have to do is push the button that matches the page they’re on to hear that page read aloud to them. A little like a book on CD, but much easier for kids to follow along with since they control when the next page is read. It’s simple enough that my daughter was able to use it on her own when she was barely 3 years old, but fun enough that my 6 year old who can read to himself still enjoys using these (they like to sit at bed in night and “read” these books on their own). Look for other other Me Reader varieties , such as Disney princesses, Thomas the Train, and Dora. The premise of this game is super simple: you lay down two cards and try to be the first one to spot the matching symbols. But it’s harder than you’d think, which makes it lots of fun. It’s fast paced – each game only takes about 10 minutes – and there are lots of variations to keep it interesting. The cards fit in a small metal case, making it easy to take along just about anywhere. This is a great inexpensive Christmas gift for boys or girls. 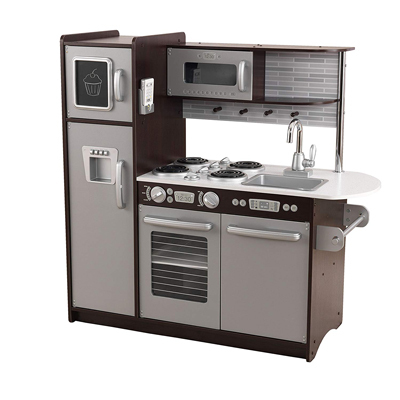 I know, play kitchens have traditionally been marketed for girls, but they make great gifts for boys as well! My older three boys all wanted a play kitchen and I never got one because we couldn’t afford it back then, but I wish I’d found one at a garage sale or something. So last year when my younger boy asked for a kitchen I decided we’d finally go for it, and it was a great decision. He LOVES pretending to be a chef. He walks around taking orders from everyone in the house then heads to his kitchen to put the food together. NOTE: the kitchen I’ve linked was one of the only ones I found that wasn’t obviously girly, and I did find it cheaper at target.com last year. Just be aware that play kitchens sell out before Christmas, so shop early if you’re interested. 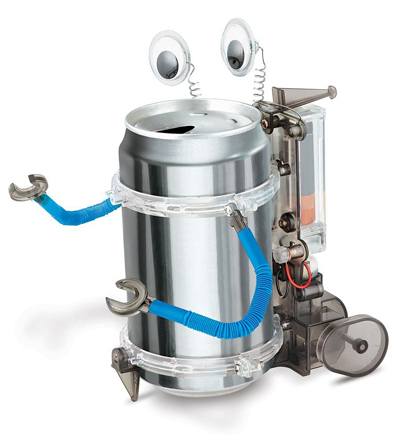 Grab this kit and an empty soda can and kids can build their very own robot which they can send rolling across the floor. Great for kids who are interested in robotics. Reviewers say the detailed instructions mean most kids 8 and up can build it on their own. 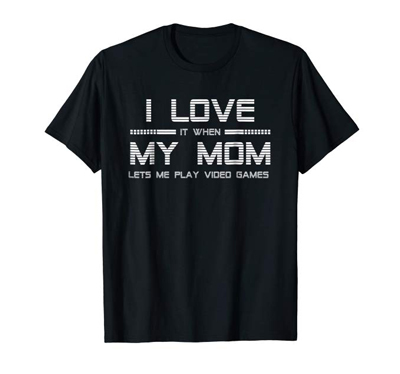 Funny shirts make great Christmas gifts for boys or girls! Click here for 20 more funny t-shirt ideas. 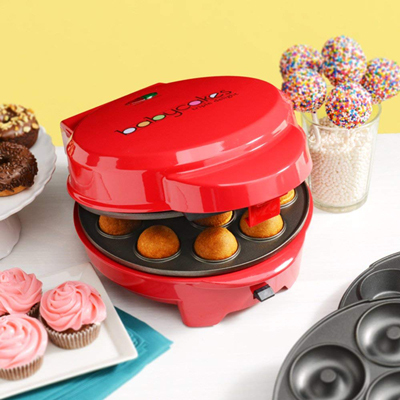 If your kids are old enough to handle something that heats up without burning themselves, they will LOVE making mini treats in this little appliance. My boys make mini donuts all the time to share with friends (mini donut recipe here). This version makes mini cupcakes or cake pops as well! And finally: BOOKS! Christmas is a great time to introduce kids to new books, especially classic series you may have read as a kid. Try Encyclopedia Brown, The Great Brain series, or anything by John Bellairs. Find even more great books for kids here: 25 fantastic books for kids 8-12, 13 best picture books, 30 fantastic series for kids. « The 20 best Christmas gifts for girls! These are awesome!! I will probably be getting a few for the boys for Christmas. A few we already have, and love. Great list!!! Best boy gift lost ever. I almost didn’t look at this list because I figured it would be the same stuff I see every year. However, I was pleasantly surprised! This is a great list of ideas! I love how you put a kitchen on this list! My boys always requested one when each of them were little. It was so hard to find to find one that was not pink. One of my boys wanted an Easy Bake Oven (12 yrs ago) and I was more than excited when I found a grey and blue one. Thank you for sharing this great list! Great list, good for boys and girls. I was coming here to say the same thing-these are good toys for CHILDREN, period-we need to stop gender bias and stereotyping in the toy aisle. It’s a great list, and good for ALL kids! You’re exactly right, Susan – thanks for visiting! Great ideas! I also love that you put a kitchen. My son has had one since 2 & now at 6 wants an easy bake oven. One great toy I would recommend are Magna Tiles. A bit pricey but we have gotten hours upon hours of use from ours. Thanks so much for the suggestion, Jennifer – Magnatiles are actually on my best gifts for girls list which comes out tomorrow! Obviously they are great for both genders – lots of things on each list will actually work for both boys and girls. Thanks for reading! Best list I’ve seen in a while! I have a son who will be so excited that you came across the starfall learn to read packet – we’ve been playing the games and he’ll be just thrilled to know there are books too! thanks for sharing! Awesome list! My 8 yr old is so hard to buy for. I think I’ll be buying 3 or 4 things off this list. Wonderful! Thanks for letting me know it was helpful! Thank you!! I was in *desperate* need of a gift for a 6 year old boy for his birthday this weekend and this was a tremendous help. I purchased the rocket stomp and I think he’s going to love it!! The stomp rockets are totally a favorite. We’ve gone through a couple sets over the past 7 years because we use them all the time! GREAT LIST! Thanks for sharing. We do have some of these and my boys LOVE them. Looking forward to adding a few of your suggestions to my gift list. Thank you for sharing. Great ideas! I like the Lego Ideas Book. lovely ideas im definitely thinking about.. Thanks for the heads up on Monopoly Deal – I thought it was crazy that Amazon had increased the price so much. I added a note in the post so people know to check Target – thanks! Grandson wanted a bracelet maker for his birthday this past Sunday. I found it at the toy store still reluctant that he wouldn’t like it. It came with a loom and small rubber bands, imagine my surprise when the box recommends it for girls & boys 8yrs. and up! His dad and I also made these bracelets, it was fun family time. Thanks for the suggestions, they will help me get his Christmas shopping. Great list,mate.!! For all budgets.These twenty things are really awesome suggestions for Christmas The LEGO Ideas Book is also here.Thanks! Thanks SO much for these awesome gift ideas. You are so helpful and all your lists are spot on to what our boys would like. We have one of those crayola light up things. They are awesome! And even though the light doesn’t work anymore it gets used all the time. And you are absolutely correct, regular copy paper works great on it. I can definitely recommend the Stomp Rockets; I’ve enjoyed watching several cycles of grandchildren enjoy them. Why didn’t they have these great toys when I was a boy? Plus, they are also great for grandpas to use.